Peter is a hospitality lawyer and Principal of Red Pie Consulting, which delivers legal business consultancy to the hospitality and leisure industries. Peter has been advising chefs, restaurants and related hospitality businesses for the last 25 years across a wide range of legal issues from personality rights for celebrity chefs to private equity transactions for restaurant groups and most commercial issues in between. He has represented many of the major London restaurants and has dealt with international projects in Asia, Australasia, EMEA and North America. 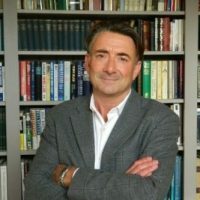 He has a particular focus on brands and protection and exploitation of intellectual property and has advised extensively on licensing of IP and Know how internationally. He has also led numerous domestic and international projects to protect celebrity chefs and restaurants from copy cat operations and misuse of IP rights. Peter is also an accredited Mediator and an active member of the mediator panel for the World Intellectual Property Organisation (part of the UN) and the International Trademark Association and is a regular speaker on mediation.